Providing you the best range of parking boom barrier and boom barrier with tyre killer with effective & timely delivery. 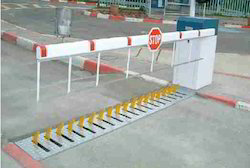 We are the leading Manufacturer and Distributor of Parking Boom Barrier. Parking Boom Barrier offers security at the entrances of an industrial unit, offices, corporate houses, residential areas, parking lots etc. We are engaged in providing a unique range of Boom Barrier with Tyre Killer to our clients. These products are manufactured using optimum quality raw components and advance methodologies. 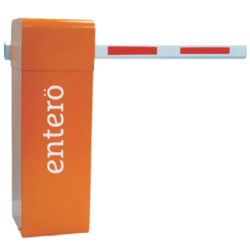 Our range is widely used in blocking roadways, entrance of hotels, offices and other sectors for security purposes.